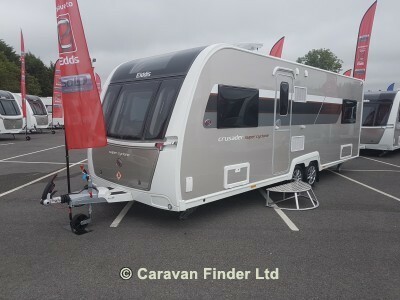 An exciting new twin axle layout, the new Crusader Supercyclone boasts a superbly comfortable twin bedroom at the rear with a centrally-located bathroom, which can be used as an en-suite or as a family bathroom. This flexible new layout will appeal to both couples and families - with a bright, airy lounge which will be enjoyed by all! Order before Easter Monday and save £1000 on the retail price and get a FREE Powrtouch Motor Mover.